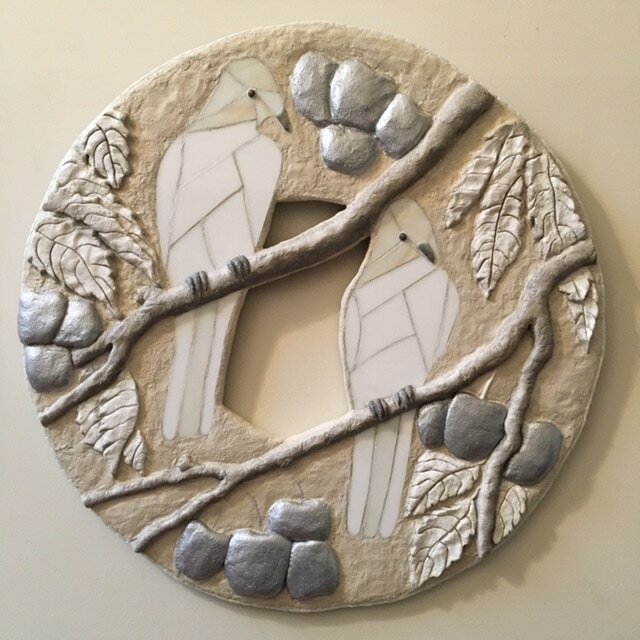 White Birds, Silver Cherries. 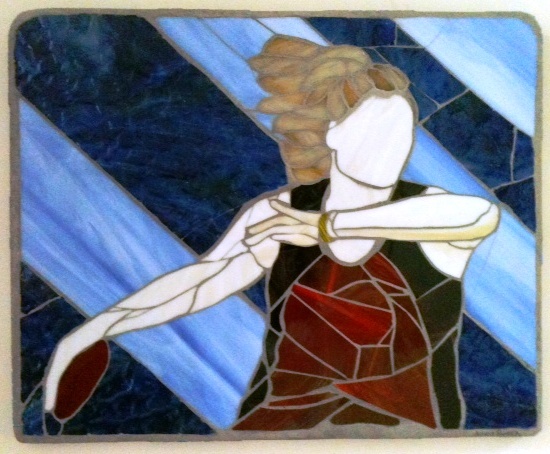 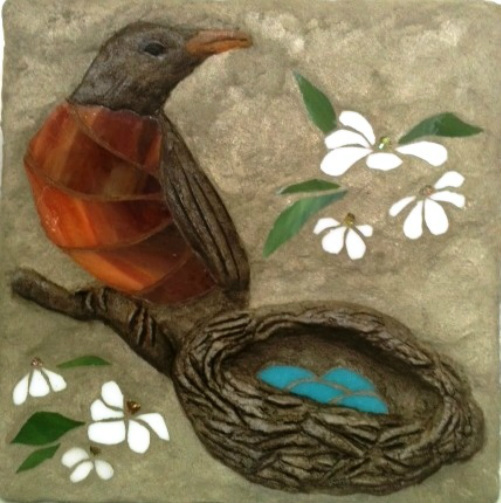 Mosaic Bas Relief. 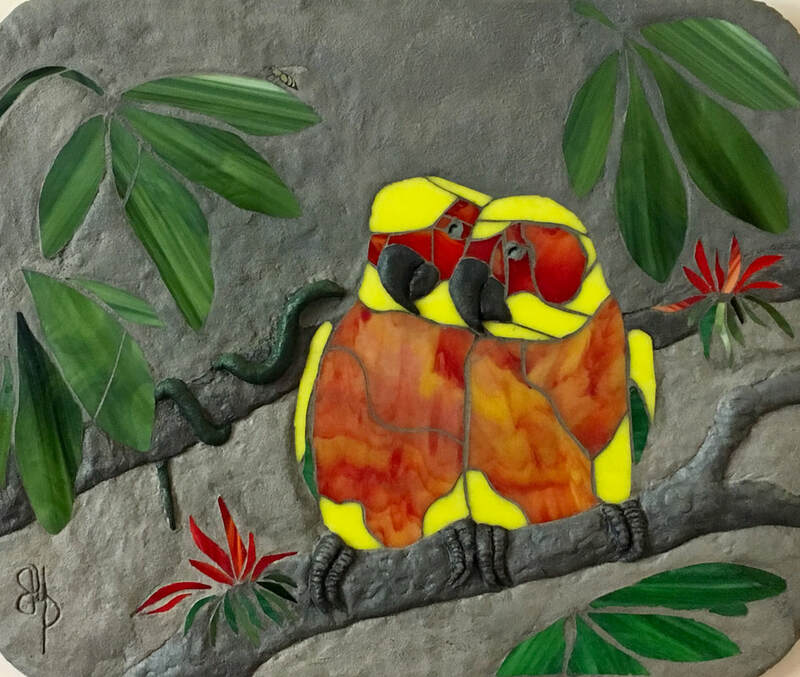 Stained glass, cement 24.5"
Sleeping Sun Conures, 20x24, Stained Glass Mosaic Bas Relief Sculpture. 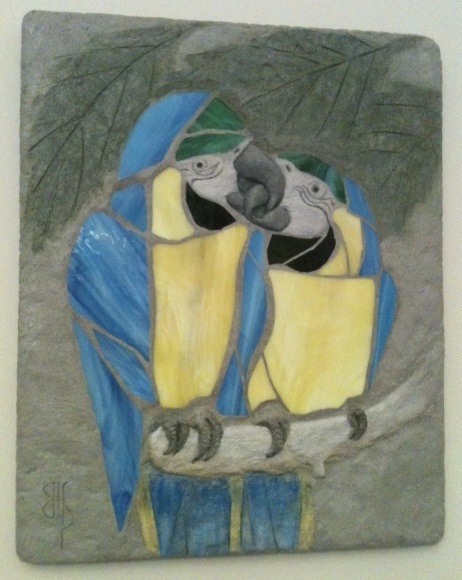 Green Sea Turtle, detail of 48x24 Welcome Sign, cement, glass, acrylic. 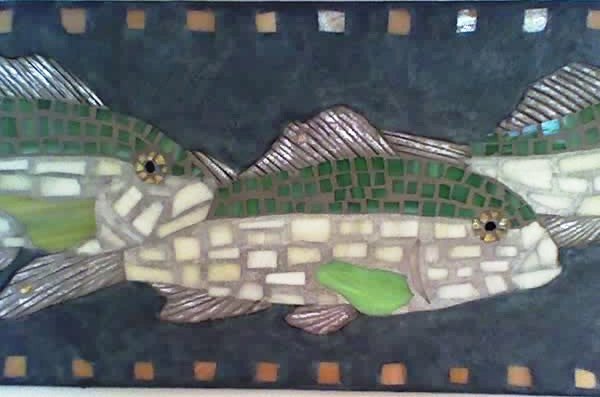 Five Fish (detail) 50.5 x 9.5 Mosaic Bas Relief.